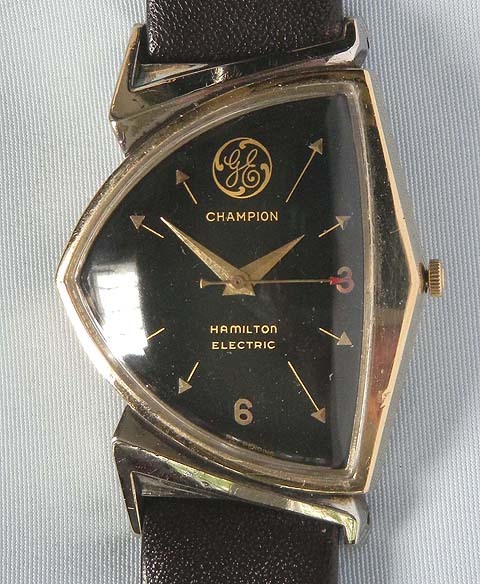 Good Hamilton electric gold filled two-tone Pacer vintage wrist watch circa 1960. 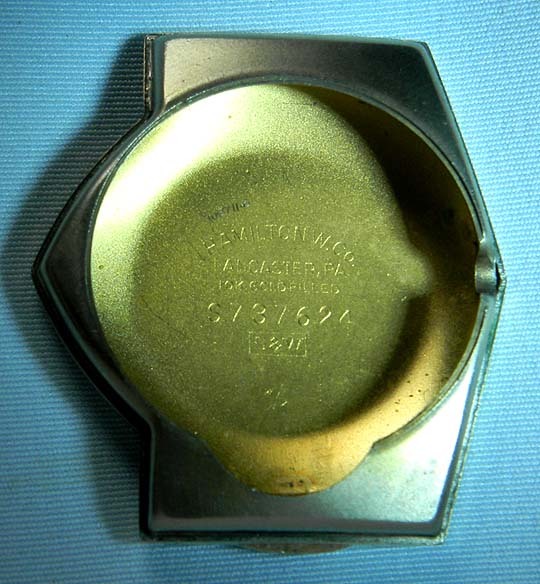 Asymmetrical yellow case with white lugs. 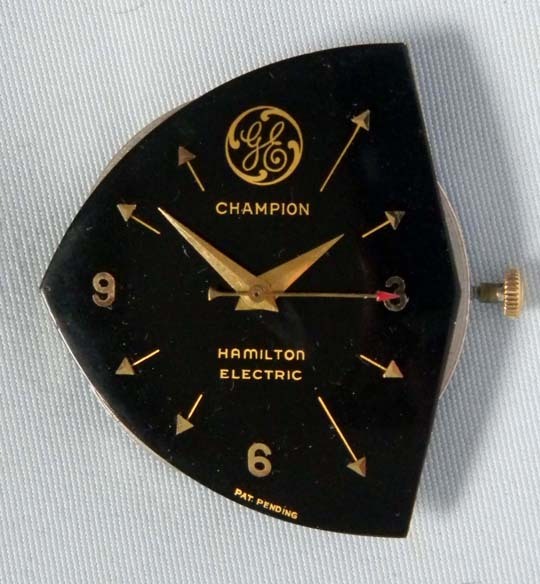 Original black dial with applied gold markers and gold hands. 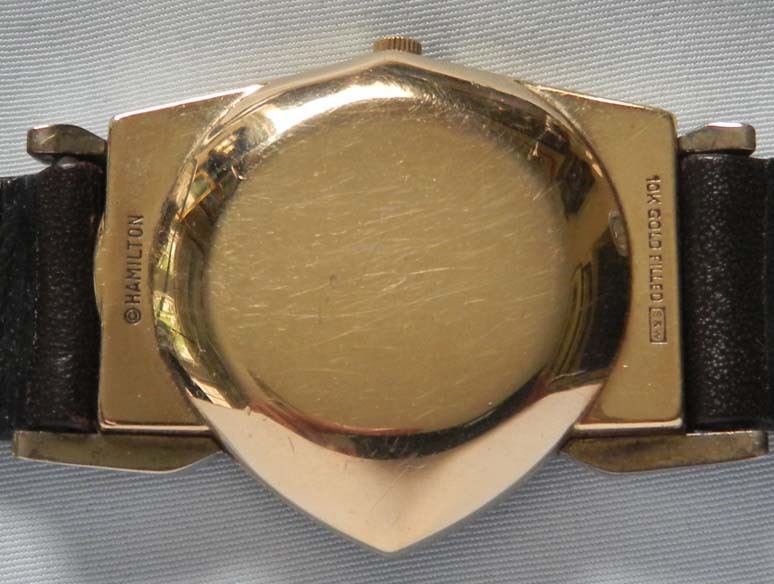 Nickel calibre 505 11 jewel movement.